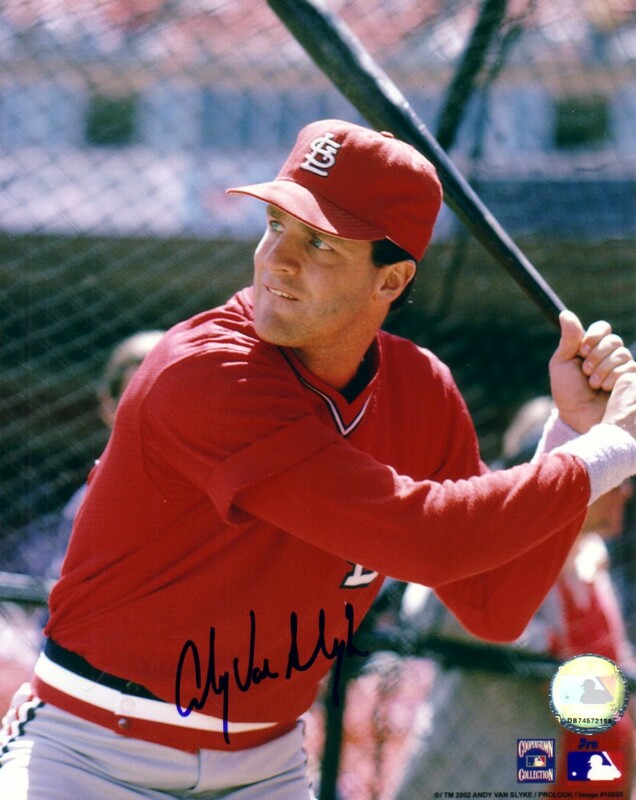 8x10 St. Louis Cardinals photo autographed by former superstar outfielder Andy Van Slyke. Obtained in person at celebrity golf tournament many years ago. With certificate of authenticity from AutographsForSale.com. ONLY TWO LEFT.